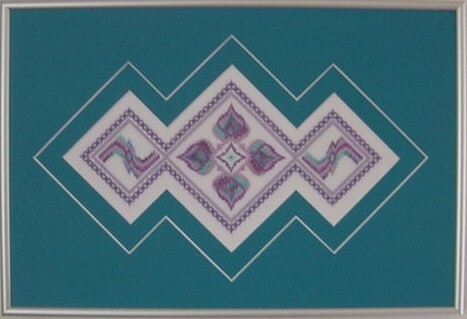 Creative Reflections offers needlework patterns by Pat Hartman featuring many four-way bargello designs, together with counted canvas and other needlepoint patterns. 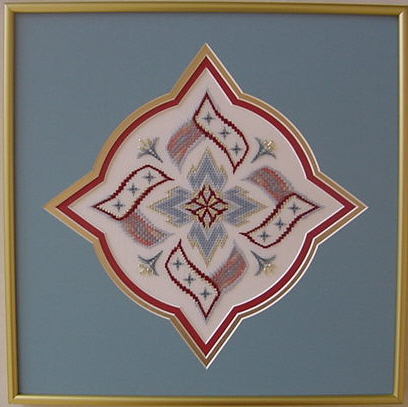 Pat is one of the founders of Needle Arts Mystery Retreat, an annual workshop featuring a "mystery" counted canvas needlepoint design. Other teacher/designers are Linda Reinmiller, Mary Knapp and Debbie Rowley. See "Classes & Retreats" page for more information. 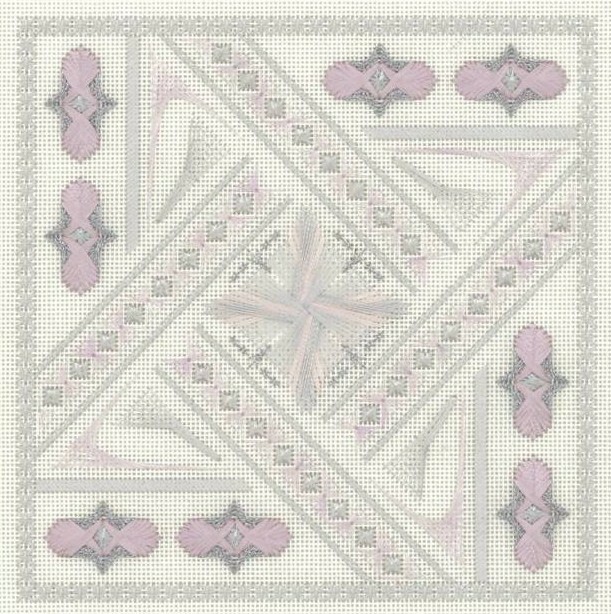 We at Creative Reflections urge you to support your local needlework shops, but it you cannot find the canvas or fibers you need to complete these and other needlework designs, please check our "Supplies" page or Contact us. Counted Canvas on white congress cloth. Chart-pak.